If you're having trouble logging into your account or accessing your profile, and keep seeing the login page over and over again, this may be due to the cookies on your browser. Cookies can be a problem, especially for Microsoft Edge users. To fix this, please follow the step-by-step instructions here. 1. 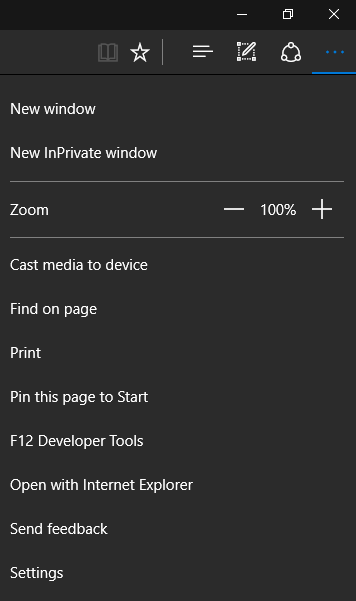 Launch your Edge browser and click on the 3-lined Hub button in the top right corner. 2. Click "Choose what to clear" under Clear Browsing Data. You can delete and clear your Browsing History and Cookies as well as Data, Temporary Internet Files, and Cache. 1. Once you cleared your cookies, please could you make sure that your browser accepts cookies. Click on the 3-lined Hub button in the top right corner. Scroll down to the bottom of the settings list. 2. Scroll down and make sure that under Cookies, "Don't block cookies" is selected. Now you are all set :) If you continue having problems, please contact us by emailing namaste@yogatrail.com.